Need a tree surgeon for your tree works needs? We are regularly asked to carry out various tree work and have City & Guilds/NPTC qualified tree surgeons within the team to attend to your requirements. We are fully insured and carry out all the necessary risk assessments and checks before, during and after the job. 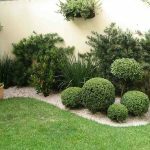 Head to our gallery page to see how we have transformed local gardens and grounds with our tree work services that have added significant value to our customer’s homes and lives.